For seven delicious seasons, Food Network Star finalists have endured weeks of grueling and complex cooking challenges to compete for the biggest prize in television: their own Food Network show. Each finalist is put to the test to determine his or her culinary competence and on-screen star potential, and the stakes are high. 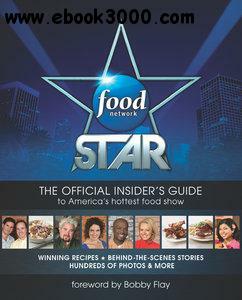 The last finalist standing is launched into food and television celebrity. You've watched them compete to earn their spot in Food Network's lineup-now you can cook the star's recipes in your own kitchen.